Photo courtesy of Door to Door Organics. 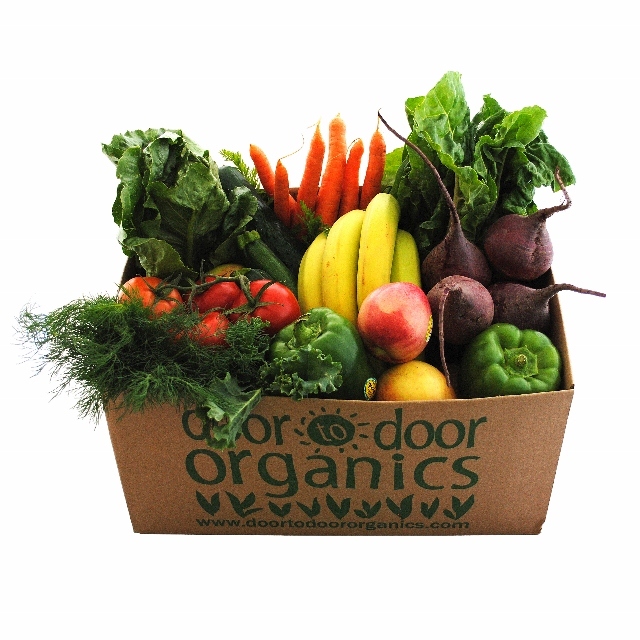 The online marketplace Door to Door Organics, which functions as a portal to local organic farmers and natural grocery retailers in parts of the United States, has expanded its service to the New York City borough of Staten Island, extending its reach into the ever-growing market for organic and locally produced food. The site has made a name for itself over the last few years by delivering “fresh, high-quality organic, natural and local food” to individuals, offices and schools in Colorado, Michigan, Illinois, New Jersey, Pennsylvania, Missouri and Delaware, and plans a deeper nationwide push in 2014. Highly regarded as one of the best and most reliable services of its kind, Door to Door Organics likely has a new crop of customers eagerly awaiting its arrival in their area. To learn more, go to doortodoororganics.com. This entry was posted in Food, Uncategorized and tagged Door to Door Organics, healthy food, healthy meals, natural food, organic, organic food, organic fruit, organic groceries, organic produce, organic vegetables. Bookmark the permalink.